These are my go to night time diapers. I would up size 1 and I never had a problem with leaks! My kiddos are heavy sleepers and they hold for like 12 hours so worked great for the whole night.. I would put these on after bath time and change them in the morning when they woke up with no problems! These are a MUST when I have my nephew overnight. He always would pee through normal diapers, but since purchasing the Huggies OverNites, we have had no messes! I highly recommend to every mother! My son is a heavy sleeper and a heavy wetter. Starting around 6mth, this meant finding him in wet PJs almost every morning. Then we discovered OverNites and they were a miracle! No more wet mornings! They absorb so much, and you can feel it in the weight when you take them off in the morning. We used these right up until my son was potty trained and I can only ever remember two leaks over the entire 2+ years we used them. They may cost a little more per diaper than regular diapers, but you will save your sanity and time not having to clean up early morning accidents. 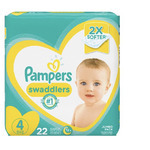 I have tried so many brands of diapers and these are the only ones my little one can wear and not wake up wet. 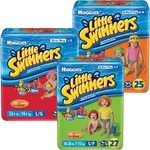 If your child is a heavy wetter at night these work great! Huggies Overnites have been a lifesaver for our heavy wetter! In any other diaper she would wake up wet in the morning, which means an early bath time, as well as laundry to be done. We use other Huggies diapers through the day, but ONLY Huggies Overnites at night time now. My daughter wakes up comfortable and dry. Night time. No leaky diaper in the morning and gentle on skin. Easy to put on and comes in different sizes.